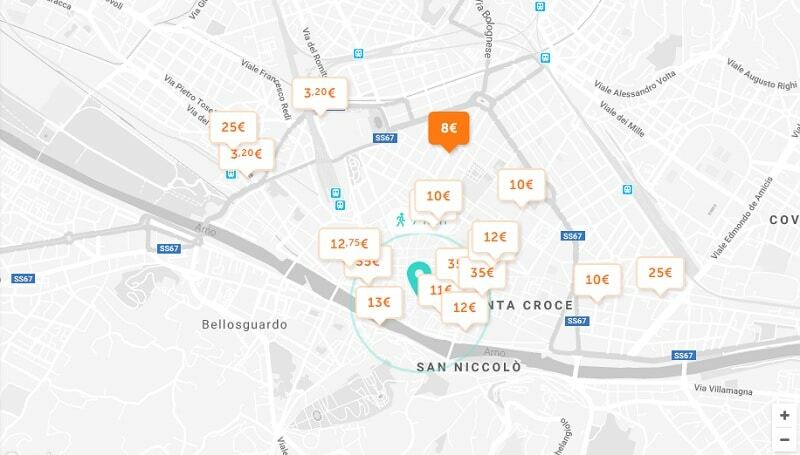 Cheap parking in Florence: where to park in Florence? Traveltipy > Italy > Florence » Cheap parking in Florence: where to park in Florence? Ready for a sunny stroll in the streets of the beautiful city of Florence? Hop in! 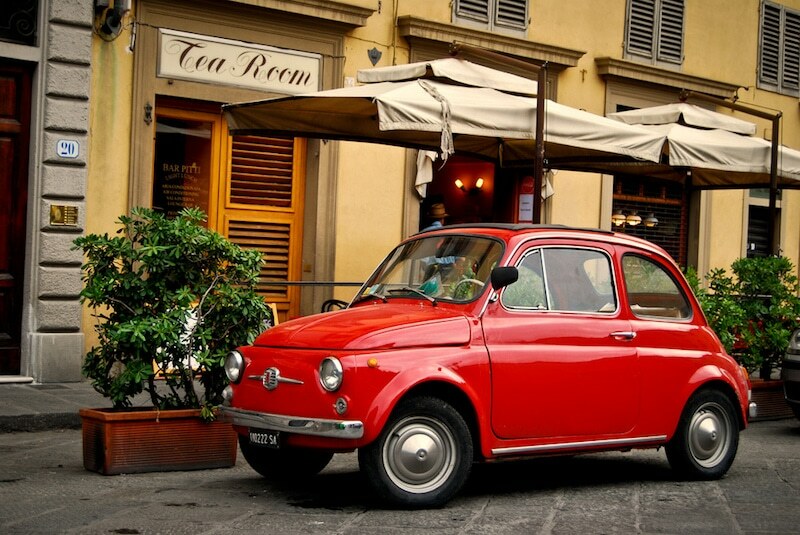 Traveltipy gives you hints and tips to find parking space in Florence. Cradle of the Italian Renaissance, Florence is undoubtedly one of Italy’s most beautiful cities, and for a good reason: it alone represents nearly 25% of the country’s historical heritage! A city-museum and a festive city, the capital of Tuscany boasts many attractive features, including numerous monuments – illustrating the influence of the House of Medici -, sublime galleries and museums, delicious ice creams and its ambient leather-infused fragrance, Florence is tremendously seductive. But if you decide to visit Florence by car, you will probably encounter a few obstacles. Indeed, most vehicles are forbidden in the city center, making it somewhat complicated to find parking in the city. 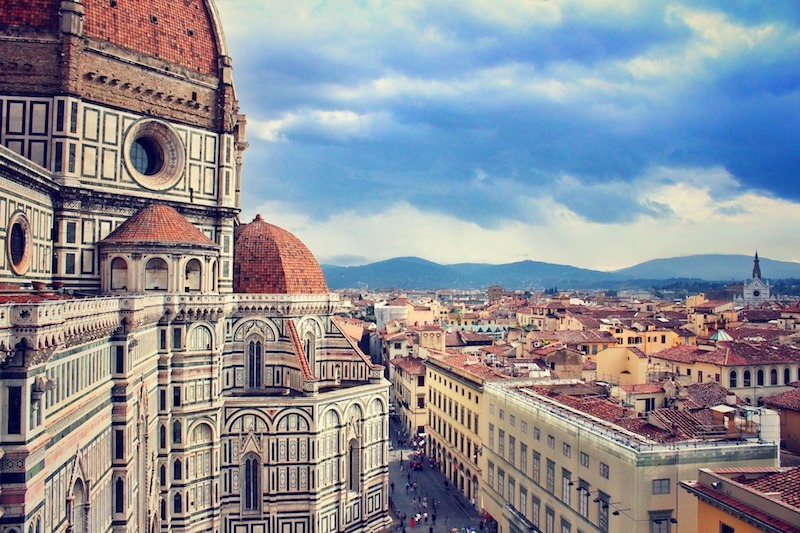 Fortunately, Traveltipy is here to help you find a cheap car park in Florence. 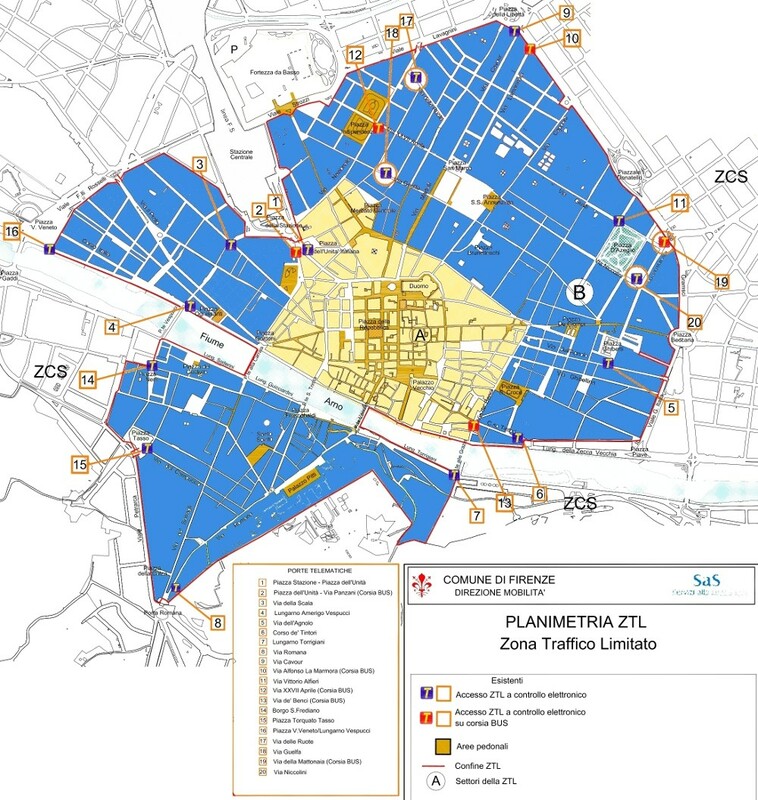 Like many cities in Italy, Florence features a ZTL: Restricted Traffic Zone. Indeed, since the streets date back to the 19th century and are listed as UNESCO World Heritage, the Italian government has decided to preserve them by limiting traffic in the city. Only residents are allowed to park in Florence so you will have to park either in a private car park or outside the ZTL. Concerning timetables, the ZTL applies from Monday to Friday from 7:30 a.m. to 8:00 p.m. and on Saturdays from 7:30 a.m. to 4:00 p.m. There is also a night ZTL running from April 7th to October 2nd, which extends the night hours of Thursdays, Fridays, and Saturdays from 11:00 p.m. to 3:00 a.m. Good to know: these restrictions are not applicable on Sundays. If you want to park your car in Florence without spending a fortune, you will need to park outside the ZTL area and therefore park in another area called ZCS – Controlled Parking Area. If you manage to find a space, you can park your car, but be sure to identify the colored markings: the blue line spaces are charged €2 for 1 hour and €3 for 2 hours in zone 1, and they cost €1 for 1 hour and €2 for 2 hours in zones 2,3,4 and 5. The white line spaces are reserved exclusively for Florentines. But if you’re looking for a good parking deal, here it is. 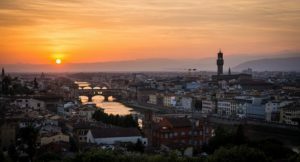 Ideally located and offering a spectacular view of the Tuscan capital, the Piazzale Michelangelo car park is a convenient, cheap car park in Florence. Though it used to be free, it is now a paid parking, yet remains very affordable: the car park charges €1 for the first hour and €2 for every extra hour. At this price, you will enjoy a magnificent view of the heights of Florence. Another great way to park in Florence is to find a parking space outside the city, close to public transport. You will find cheap parking near the Villa Costanza: the car park charges €0.50 for the first hour, €2 for 4 hours, €5 for 10 hours and €7 for the day. Once parked, all you have to do is take the tram to reach the center, and you’re done. If you absolutely want to park in the center of Florence, there is a solution: private garages. Though they are indeed more expensive, they have the advantage of electronically transmitting your license plate to the authorities. You will thus receive a permit, valid for 2 hours on the day of your arrival and of your departure, which is enough time for you to unload/load your luggage. This parking option costs on average between €20 and €35 per day. Located in the city center, San Gallo Garage is an ideal car park for all those who would like to be close to Piazza San Marco or the Academy Gallery. Price wise, San Gallo Garage charges 25€ per day, €50 for two days and €60 for a weekend Pass with unlimited entries and exits. Finally, the Palazzo Vecchio garage is another convenient car park in Florence. It is very well located, a stone’s throw from the famous palace of the same name. The full day is priced at €24, the two days at €48, and the weekend Pass at €65, with unlimited entries and exits. There are other types of car parks in Florence, further away from the city center but less expensive. Located just opposite the Firenze Porta al Prato station, the car park of the same name is the perfect location if you want to go on a trip from Florence to another Italian city. The car park charges €1.60 for 1 hour, €8 for 5 hours, and €20 for the day. Another good cheap parking deal is the Firparking Aeroporto car park at Florence airport. For 1 day, the price is €10, €20 for two days, €30 for three days and so on… Further away, the Parcheggio Aeroporto Firenze costs €5 for the day, €10 for two days and €15 for three days.